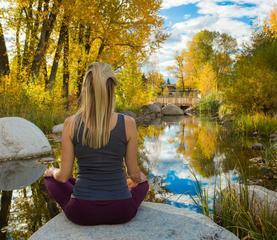 Aspen more than lives up to its official mantra of “mind, body, and spirit,” with four yoga studios in the downtown core alone and $5 yoga classes at the Sundeck on Aspen Mountain in the summer and winter months. A plethora of Pilates reformers for both private and group instruction are available at O2, Studio Core, and the Art of Fitness, which also is home to Gyrotonic machines. And for personalized workouts, there are personal trainers to suit all styles of fitness. Privates: pilates and gyrotonic studio. One on one duets and group classes. PMA certified and over 15 years of experience.